a horizontal tangent line and a change of behavior (from increasing to decreasing or from decreasing to increasing) , that is a local maximum or minimum. 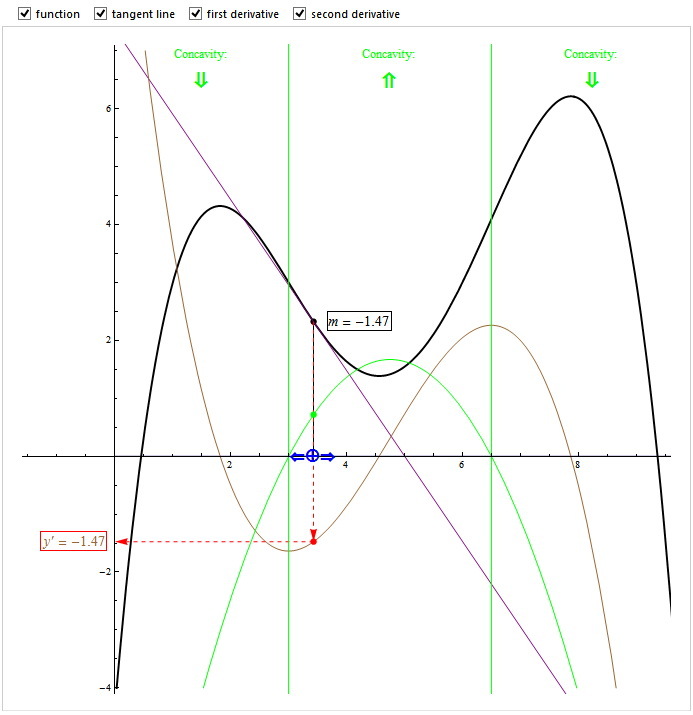 If the first derivative just touches the x-axis (without crossing it and so it’s tangent to the x-axis) then the function has an inflection point with a horizontal tangent line. the tangent line of the first derivative slope is zero and the function may have an inflection point. If the second derivative crosses the x-axis then first derivative has a local maximum or minimum and there’s actually an inflection point for the function.